I was in a coffee shop the other day and before leaving I took our cups back to the counter to save the staff having to walk over and clear the table. The bloke behind the counter called me a “legend”. Well I dunno about that, but it did get me thinking. We need more heroes. Recognition schemes, best practice awards, employees of the month and all those corporate initiatives are just not inspiring enough. Come on, let’s make some real heroes. I don’t mean coffee shop legends who don’t deserve it, I mean those people in our organisations who really are the stars. The thinkers, the doers, the motivators, the cheery souls, the ideas people, the innovators, the devotees, the unsung heroes who drive company culture and make the organisation what it is. It’s thrilling stuff from a writer devoted to celebrating the human spirit and championing greatness. And in some ways, its “greatness” that we should be talking about in our world – not good practice. If I walked into an organisation for the first time – or I was thinking of joining one – I’d want to know who the heroes are and why, not what best practice looks like or how the recognition scheme works. You’ll find out much more by asking “so, who are your heroes and why?”. We comms people have the means to “light the candles” of greatness within our own office walls. So let’s not be shy of using a bit of hyperbole. Let’s find and shine the light – let’s “warm ourselves at the fire” – of those ordinary heroes who do what they do every day at work … and who make us all feel just that little bit better about ourselves. This entry was posted in Communications, Writing and tagged heroes on March 21, 2013 by creativecommunicator. Who’s to blame for corporate jargon? A unique factor of the NHS Cheshire Warrington and Wirral Commissioning support organisation is its systematised methodology for project and programme management of small, medium, large service re-design and implementation…Building in equality and risk impact assessments the options are taken through a process to arrive at the content for an output based specification and benefits foreseen as a result of the implementation. The service is inclusive of full engagement with Clinical Commissioning Groups who direct at decision-making points how they wish the proposal to be deployed (re-commission, de-commission or changes to current services/providers), and lastly an implementation team who see the service redesign through to evaluation and benefits realisation. You can see the other mesmerising award winners here, but be warned, don’t read them all in one go if you are prone to migraines. The sad thing is, of course, that these great examples of corporate fudge and wizardry are not uncommon. They can be found in pretty much every organisation. So who really is to blame? Is it managers with over-inflated egos? Is it training? Is it cultural? Is it a reflection of poor academic standards before people enter the workplace? Is it a peer pressure that makes leaders in particular feel the need to appear intelligent and business-savvy? Is it a lack of confidence? Is it a reluctance to use emotion and authenticity at work? Is it a deliberate act of confusion? Is it comms people … are we to blame for the way this has got so out of hand? 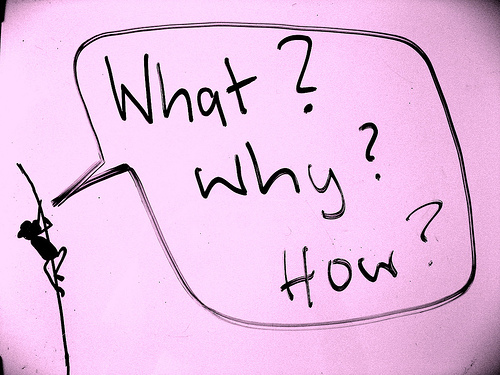 I’ve never met a comms person who hasn’t complained about the negative impact of jargon, and almost everyone on the ‘frontline’ tells us they want their comms to be plain and simple … so why haven’t we been successful in stamping it out? Is the battle now too big for us? Do we not have the influence? Or is it the lack of will … do we not consider writing to be important anymore? I saw a blog entry from a comms practitioner today who said (in the context of looking ahead to 2013) that ‘writing is dead’ and it’s pictures and infographics that matter now. Are these people serious? If we give up on writing, prose and realness in our comms, we’ll fall into an even deeper abyss. The infographics will just become ‘jargon in pictures’. We may like the look of our pretty graphics but our audience will just shake their heads and wonder where it all went wrong. I’m all for good use of imagery and graphics, but not at the expense of the written word. No way. I think good corporate writing is more important than ever! Maybe, like the Plain English Campaign, we should recognise the skill involved in being able to write 200 words without any discernible point whatsoever. A few months ago I listened to a very senior executive speak for a whole hour and not say anything. At the end of the PowerPoint-filled 60 minute presentation, we all turned to each other and said “what did she say?”. Now that’s talent! I don’t think corporate communicators can shoulder all the blame for what’s happening but I do think we have to take some responsibility for it. Are we really doing enough to stamp this out, or do we just relegate it to the ‘too difficult’ pile and pretend to be outraged by it? This entry was posted in Communications, Writing and tagged Bull, jargon on January 7, 2013 by creativecommunicator. My family and I went to watch an outdoor theatre performance of Twelfth Night in Chester at the weekend. I’m no Shakespeare scholar and I can sometimes struggle to keep up, but I do try to listen carefully and I often find long passages of prose that completely blow me away. From Twelfth Night this line stood out for me, spoken by Feste the clown to express his distrust of language: “A sentence is but a cheveril glove to a good wit. How quickly the wrong side may be turned outward.” The castaway Viola (disguised as a man) replies, “Nay, that’s certain. They that dally nicely with words may quickly make them wanton.” Now that’s a prophetic 430-year old piece of advice for corporate communicators if ever there was! Workplace communication, with its tendency for meaningless jargon and ambiguous or politically correct language can so very easily be misunderstood. Sometimes our (perfectly well intended) communications are so dressed up with context, background and justification that the true message gets lost mid-way down page two after acres of pointless preamble. Such communications can indeed backfire on us if we’ don’t follow the golden rules of clarity, brevity and consistency. Not only does the message get lost, but the style becomes part of the culture. There are plenty of “good wits” in our organisations ready to turn our over-crafted sentences against us. Similarly, “they that dally nicely with words” by trying to inject unnecessary and unwarranted hyperbole “may quickly make them wanton” by over-using expressive adjectives and diluting the true meaning of potentially powerful messages. We could do worse than take the advice of the Bard. He knew a thing or two about getting a point across…. even if 400 years on no-one knows what the hell a ‘cheveril glove’ is (some sort of loose animal skin apparently). By the way, at the same time as I was posting this entry, this article appeared on LinkedIn. Similar sentiments but much better written than mine! 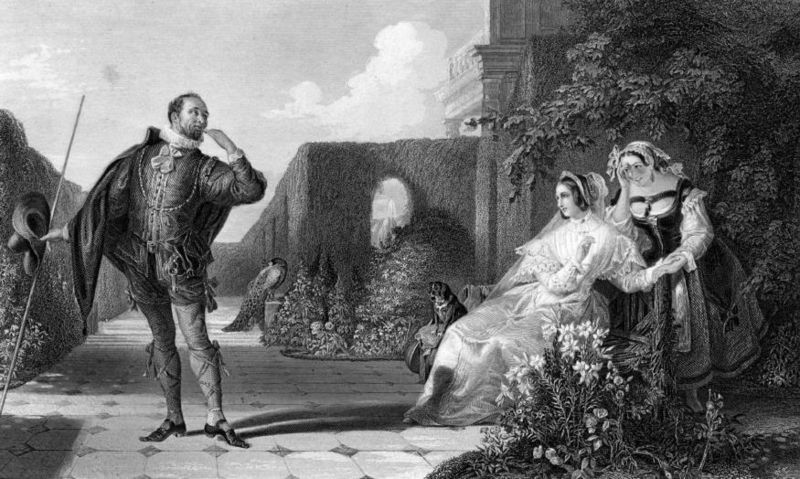 This entry was posted in Communications, Thoughts, Writing and tagged shakespeare on July 25, 2012 by creativecommunicator. “Exciting” … Oh, come off it! I’m a wordsmith by trade, so I have a tendency to sprinkle more than my fair share of adjectives and expressive language into the communications I write. Expression, even over-expression, is part of human communication. Just watch two Italians having a conversation. We exaggerate heavily to emphasise a point, we use carefully chosen adjectives to add colour to our sentences and we intensify words with italics, capitals, underlines and bold fonts to get the message across loud and clear. 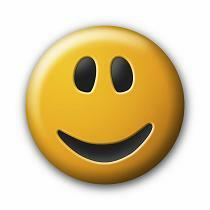 In electronic and SMS communications, we love to use emoticons to leave our reader in no doubt of our meaning or mood. As communicators in business, we’re probably all guilty of excessive hyperbole at times, but that’s fine. It beats that bland corporate text book style you see in some organisations. But I do object to the over-use of the word ‘exciting’. I saw a communication from a bloke the other day who wrote, following his recent appointment, how “tremendously excited” he was to be joining the legacy software decommissioning project. Oh come on. I’m all for exaggeration, but let’s keep it real. I do feel the word ‘exciting’ is becoming part of the leader’s lexicon of yawn-inducing jargon – “exciting strategy”, “exciting opportunities”, “exciting roles” etc. What does that mean exactly? If you genuinely are excited, show me, don’t tell me. Then I might engage. This entry was posted in Communications, Thoughts, Writing and tagged emoticons, exciting, hyperbole on May 30, 2012 by creativecommunicator. Now why don’t we see writing like that in the boss’s memo to staff? 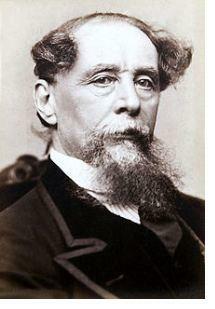 This entry was posted in Writing and tagged dickens on May 18, 2012 by creativecommunicator.